All 6 main islands that form the archipelago of Hawaii are incredibly beautiful tourist destinations, but Kauai has a specific charm that is easily recognizable and different than the appeal of the other 5 Hawaiian Islands. There are many tropical wonders that can be discovered in Kauai and tourists have a variety of attractions to visit and activities to try during their stay on the island. 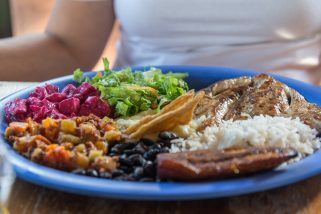 Tourists who want to make the best of Kauai’s North Shore should spend at least a day in this wonderful region of the island. The North Shore is home to many wonderful tourist attractions that can be discovered including Wailua Falls – a beautiful natural paradise and Kilauea Lighthouse – a great birding location in Kauai. Besides visiting the main attractions, tourists can explore the underwater world with their snorkeling gear at Queen’s Bath. Those who prefer land activities can hike Kalalau Trail, the most loved hiking trail in Kauai due to the scenic views of the coastline from the top but also for the introduction to the dense forest of the island that leads to the rainiest spot on earth. The trail that leads to Wailua Falls is another popular hiking trail. Tourists need to be careful while hiking this trail since the path is pretty dangerous. However, the destination is surely worth the effort invested since at the end of the trail awaits the majestic 53 meters waterfall. If you think the North Shore offers amazing attractions and activities, wait till you hear what the South has to offer! In order to arrive in the South Shore region you have to pass through the Tree Tunnel, another amazing Kauai attractions we will talk about later. After arriving at Kiahuna Plantation, you can visit the Spouting Horn, a place that hosts a fascinating natural phenomenon that take place when water rushes through lava tunnels to the surface. Another place that should be visited by all nature enthusiasts is the Allerton Botanical Garden, a beautiful place with wonderful flowers and various species of plants. Although all these attractions are amazing, Waimea Canyon is probably the most spectacular destination in Kauai’s South Shore. 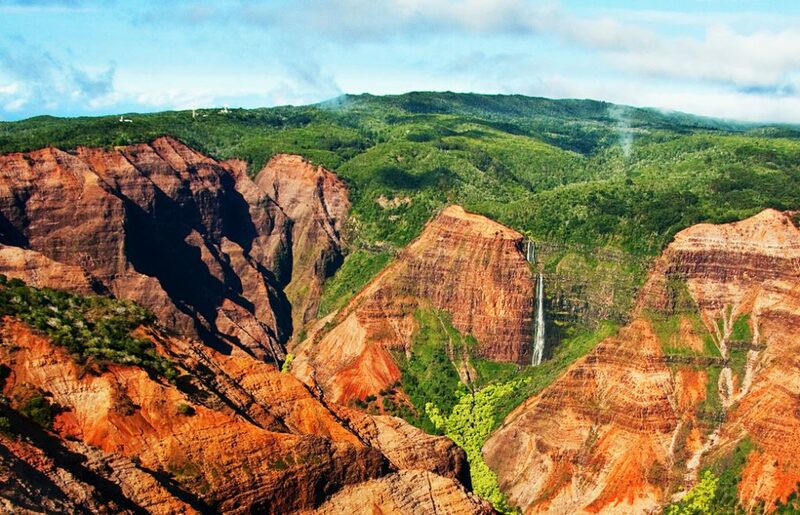 Also named the “Grand Canyon of the Pacific”, Waimea Canyon is a popular destination for both sightseers and hikers. The road towards the canyon offers scenic views of the island of Niihau but also a mesmerizing preview of the canyon. The adventurous tourists can try the numerous hiking trails in the region but before embarking on this kind of adventure, make sure you stop at the Ranger Station for maps and also to find out if you need a permit or not (some trails require a permit or pass). The best time to visit Waimea Canyo is during the morning since during the afternoon are usually rainy. As we already mentioned, the Tree Tunnel is another beautiful attraction on the island of Kauai. It is believed that the trees that form the tunnel are 100 or even 150 years old. The reason the trees were planted is not known but the fact that the Tree Tunnel provides an awe-inspiring experience is surely common knowledge. While heading towards Kauai’s South Shore you will be able to enjoy a 1.5 kilometer drive surrounded by the majestic Eucalyptus Robusta trees.